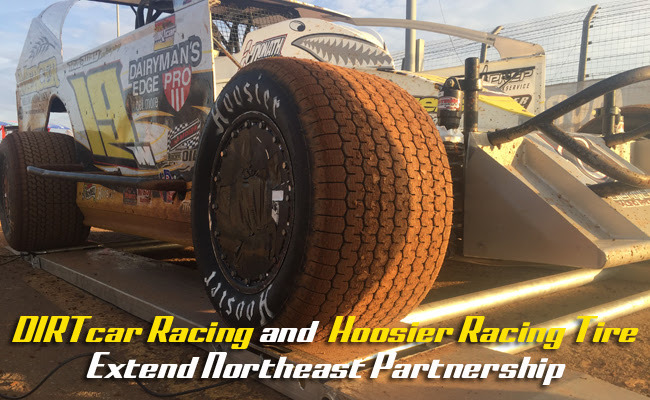 CONCORD, NC – (Jan. 20, 2017) – DIRTcar Racing is proud to announce a multi-year extension with Hoosier Racing Tire encompassing DIRTcar Racing’s Northeast weekly racing divisions and touring series. The Hoosier Racing Tire sponsorship includes the Super DIRTcar Series, the premier traveling tour for Big-Block Modifieds in North America. DIRTcar is the world leader in the sanctioning and promotion of dirt track auto racing. Hoosier Racing Tire’s mission is to be the dominant, customer driven, provider of racing tires to racing teams domestically and internationally.